Oceanfront luxury. Toes in the sand. Romance. Natural Beauty. Beach, pools, restaurants and spa. Tennis, golf and any outdoor activity that you can imagine. All this and more can be found at the newly renovated Four-Diamond Sanderling Resort. 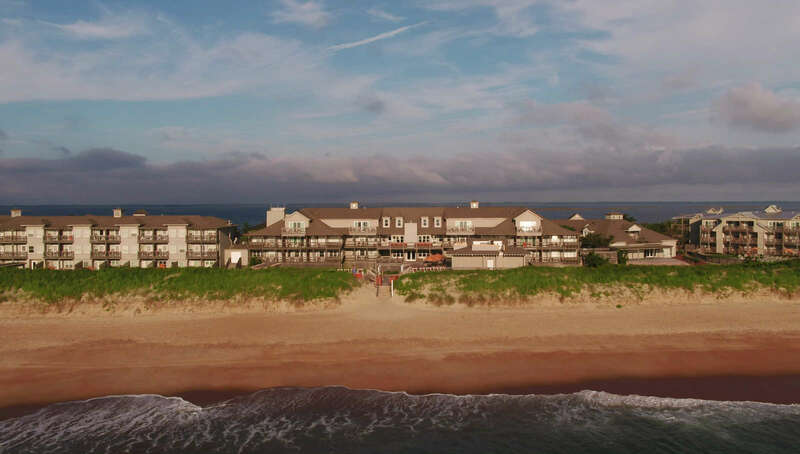 Located on the Atlantic Ocean, just north of Duck, North Carolina, Sanderling is uniquely positioned to provide a truly life-altering Outer Banks vacation experience. Our off season renovation are on schedule to be complete by April 30th. We are adding some additional rooms in the Beach House and renovating the Event House. Enjoy an a la carte Easter brunch from 11am - 3pm at the Lifesaving Station. Buy 2 Nights and Get the Third Night Free on select room types. Excludes arrivals on Wednesday and Thursday. Buy Four Nights; Get One Free for 2 guests in select king bedded rooms. Available June, July & August. "ANOTHER AMAZING VACATION AT SANDERLING"
Sanderling is a fabulous resort! We had such an amazing vacation last year that we decided to come back this year. It did not disappoint! We will definitely be back. "INCREDIBLE RESORT, AMAZING RESTAURANT, GRACIOUS STAFF"
Between the sound and the sea, this slice of the Outer Banks in upscale Duck is pure paradise. Had an absolutely incredible dining experience in Kimball's Kitchen - the seafood tower and aged prime beef made us swoon. My room was spacious and comfy, and the beach view divine. Sanderling is a place to recharge, regroup and revitalize. We booked the Sanderling for the second time this year. Our week was spectacular. I travel for business on a frequent basis and the sincerity of the hotel staff is outstanding. They hire people who enjoy providing outstanding service!